The world’s fastest supercomputers can crunch quadrillions of calculations per second, essentially empowering critical manufacturing, electrical, and other industrial processes with minimal waste. The world may have become dependent on machines to dynamically share, store, and synchronize data, but the first step for smooth operation still lies in human hands. In effect, accurate data entry is paramount to any industry. Since as early as the 1890s, there has been a high demand for workers to enter punch card data. Today, data entry specialists are called upon to fill in data for a number of different needs. In fact, the demand has been so great that companies even outsource this skill to offshore workers. Data entry requires very specific skills to become a sustainable income source. While there are many listings that need only a high school diploma to be hired, prospective jobs may require at least 45-word-per-minute typing test results with minimal errors and training in systems such as Entrypoint, Data-Scan, Capturx, and Unibase. Securing a data entry position is one thing, but sustaining a successful one is another. This position requires intense focus and the right tools to ensure successful data entry with minimal errors. In some industries, entering the wrong data can literally cause a crash or critical error. When a copilot mistakenly typed a plane’s takeoff weight in November 2015, he caused the plane to miscalculate both the takeoff speed and thrust needed to clear the runway. Typographical errors have been known to cause disruptive consequences. A misspelled letter “s” caused the closing of an £8.8 million family business in the UK in 2009. A misplaced comma cost the US government $1 million in revenue in 1872. The backslash mistakenly marked as a blacklisted symbol by Google virtually blocked most sites on the Internet for more than an hour in January 31, 2009. “Too much sitting linked to an early death” is the headline of a post from the website of Harvard Medical School. 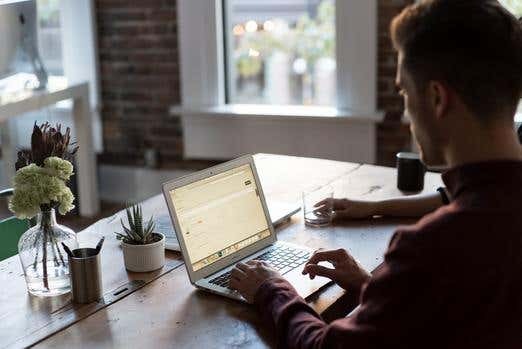 According to the post, a study in the American Journal of Preventive Medicine have found that the more hours women in the study spent sitting at work, driving, lying on couch, and other leisurely pursuits, the greater the odds of them dying early from heart disease, cancer, and other causes. Data entry requires employees to spend hours sitting down and typing furiously to finish an assignment. The intense focus that this kind of work entails simply limits workers’ conscious effort to move or even take breaks. For this reason, an ergonomic desk can ensure that doing this work will not affect both the quality of output and the employees’ health in the long run. Ergonomic desks help lessen the consequences of this sedentary lifestyle, although, of course using them won't not replace the benefits of actual movement and exercise. Lifehacker outlined the range of measurements that optimum sitting or standing ergonomic workstations should have. In another post, Lifehacker described the qualities of optimum office chairs, desk, and monitor. Chairs should be comfortable, should have lumbar support, can be swiveled, and should have adjustable height. Monitors should be at eye level, glare should be eliminated, and should be placed close to the mouse. For data entry workers, using dual monitors can be especially beneficial. This allows different spaces for dynamic data entry and fact-checking, helping speed up the job and minimize errors. This setup has been noted to increase productivity among employees. Accuracy is often lost in digital copy. But, as stressed earlier, lapses in accuracy are detrimental when it comes to serious data-entry assignments. One way to ensure accuracy is both getting information and double-checking data from prime sources. Depending on the industry you are in, there are several data sources that you use to verify or double check. For marketing professionals, for instance, accurate data on demographics and companies can be found on prime online services such as Salesforce. For academics, country census bureaus, government statistical data, and academic journals can be unbiased sources of information. For those who are manually typing out data from a digital source, optical character recognition (OCR) tools can be used to easily convert printed PDF files or image files into editable formats. Outputs of OCR tools, however, need double-checking as the computer may have misinterpreted the images. If you are like many data-entry professionals, Microsoft Excel is your close friend. Many spreadsheet hacks can be found online, but what’s most helpful are those that help auto-complete entries. For instance, you can press the TAB and ENTER key to get the computer to enter data that has been previously written. This is part of Excel’s Autofill feature, which allows you to automatically repeat values that already exist on the column. This feature also allows you to fill data and formulas into adjacent cells. Meanwhile, the Flash Fill feature helps you logically fill in entries depending on the pattern from previous entries. When copying and pasting data from sites, it is common to use the nifty notepad to eliminate formatting. However, heavy duty editors like UltraEdit add more features that data workers can take advantage of. These features include multi-caret editing, large file editing, column or block mode editing, and bookmarking. For data entry professionals, focus is a close friend and ally. It is a value that allows them to work for hours on end without feeling the ill effects of its monotony, focusing only on the goal of finishing the project at hand. As such, distraction is the enemy. And in a world where distractions abound online and offline, it is not easy to maintain focus. The first step to do so is to form a healthy work habit. Before starting work, set a schedule that puts work into bite-sized pieces, incorporating breaks in. If you work at the same place at the same time each day, experts say that your body will be better trained to go on full work mode at these scheduled hours. Remember to gather needed papers and other resources for data entry before you start. Having to go out of your way to walk across the room, call your boss, or look for documents may disrupt the momentum of your work. When you start, don’t stop until your scheduled break. Many productivity gurus refer to various time management styles and tools to handle this. You can choose from basic task lists, calendar alarms, and tomato timers. Essentially, the idea is to prioritize tasks at a given time to catch your deadline. Disruptions may arise, and that’s normal. They may come in the form of notifications or external distractions. There are several ways to deal with them. For instance, you can program your mobile device or desktop to not show pop-up screen notifications for a certain period of time. You can set up a secondary contact number for which you can be contacted only if absolutely necessary. You can wear noise-canceling headphones, play white noise, or use background noise. You can also opt to limit your visual distractions by blocking your view from constantly moving people. Mistakes exist and they happen all the time. But when you enter data in a system, such as a word processor, there are ways to ensure that your work don’t come out with unnecessary words and typos. Reading articles online, not even news sites are spared from dismal offenses that fail to be filtered out during the publication process. Many news editors attribute this to the need to publish stories in real time, so much so that traditional editorial standards are not met. For this very reason, it is important to allot time for proofreading your output. Since many data entry jobs are given out to freelance workers with no access to proofreaders or editors, it may be hard to get someone to give your work a once-over. An alternate solution is to step away from your writing and return to it after a considerable amount of time. Another is to check your work for different errors at one time, first for grammar, then punctuation, spelling, and so on. Several sources also suggested reading your work backwards so as to eliminate blindly passing over certain errors that our brain regarded as correctly spelled or punctuated when read correctly in the sentence. You can also use data entry tools to automatically correct certain words or phrases that are common mistakes.